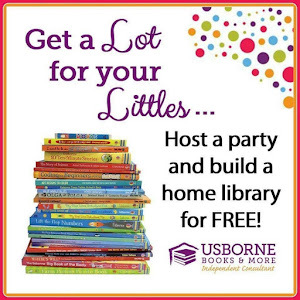 Happy 2016 Everyone! 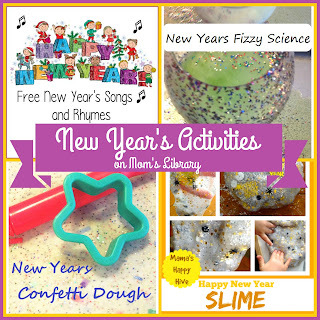 This week I am sharing great New Year's Activities to pin for next year! 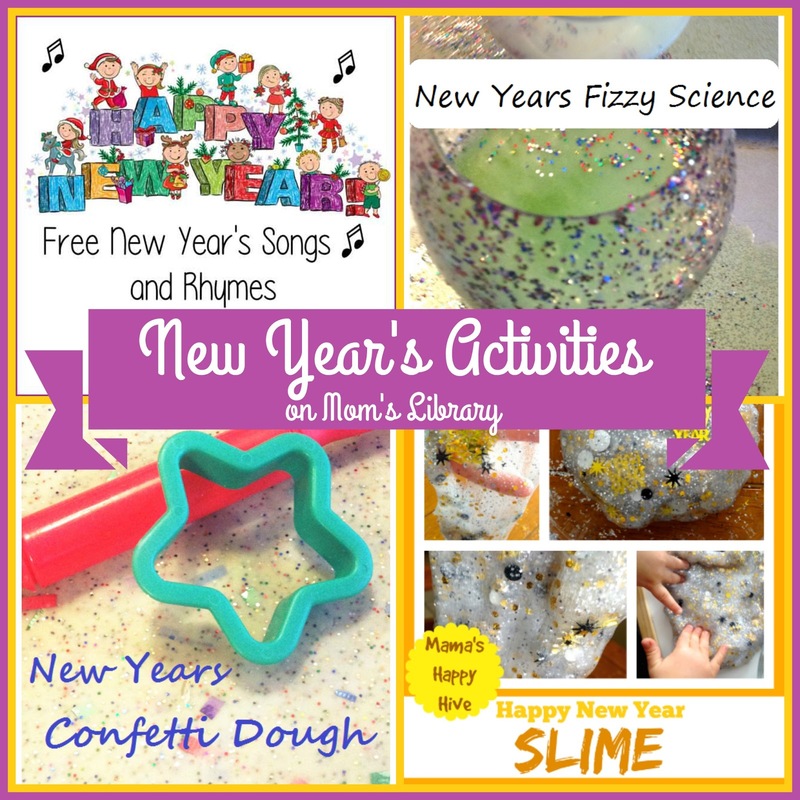 My New Year's Features This Week! 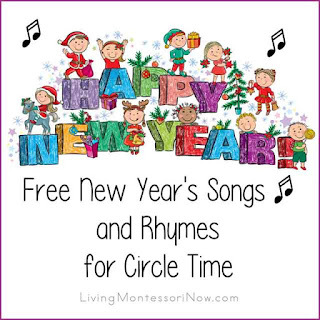 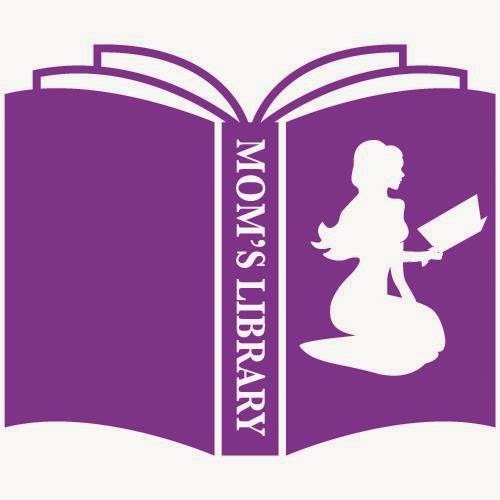 Living Montessori Now has some fun New Year's Songs and Rhymes! 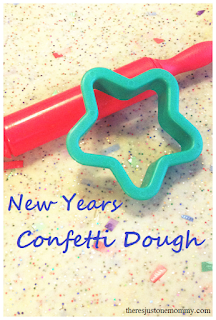 There's Just One Mommy made some Confetti Dough to celebrate the new year! 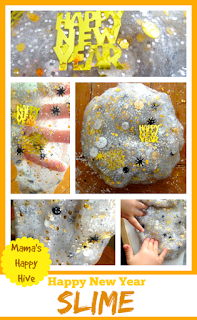 Mama's Happy Hive created some sparkly, New Year's Slime! 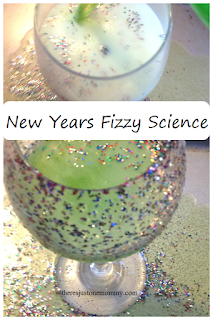 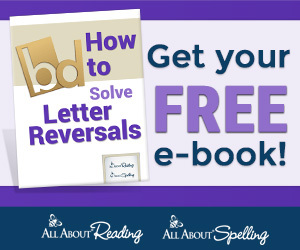 There's Just One Mommy also rang in the new year with some Fizzy New Year's Science!